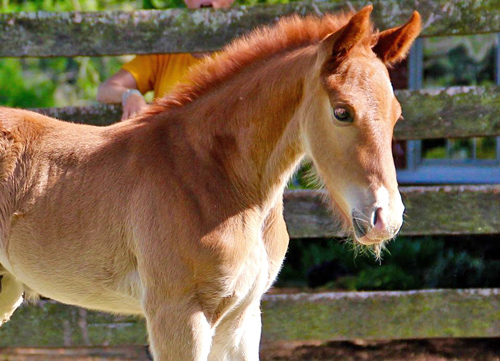 All the early signs are that this colt is going to spectacular! He is showing us his fabulous movement as well as his fun personality. 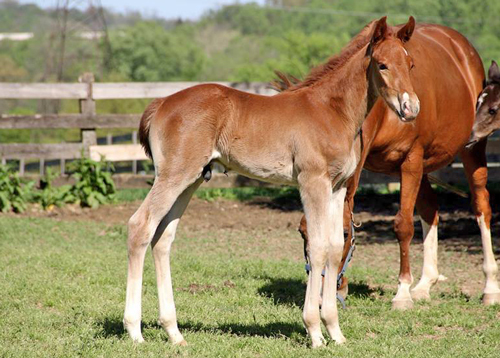 For those of us who had the honor of caring for his sire Forrest Flame, this colt is his sire's son alright. Flame is light on his feet, super athletic, with a fabulous temperament. Likely to finish in the 15 hd range, he will be a fun and handy ride for the smaller adult rider who wants to compete successfully along side the big warmbloods. 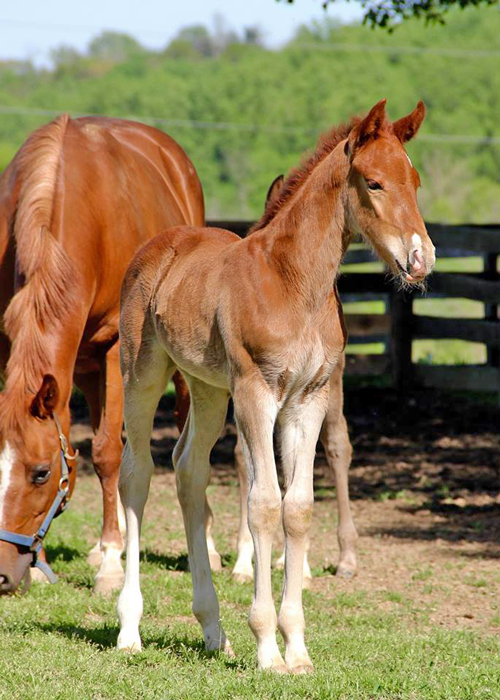 His sire, Forrest Flame was a dynamic competitor in a powerful pony package. At a young age Forrest successfully competed thru the levels at Regional championships to Fourth Level, while schooling Prix St George and Intermediate - and all this while managing several heavy breeding seasons. To date, Forrest is the highest scoring pony to have passed the Stallion Testing and earned his three stars in the ISR/Oldenburg Registry Award Program. Alkmene GF is a beautiful imported German mare on loan to us for this breeding only. 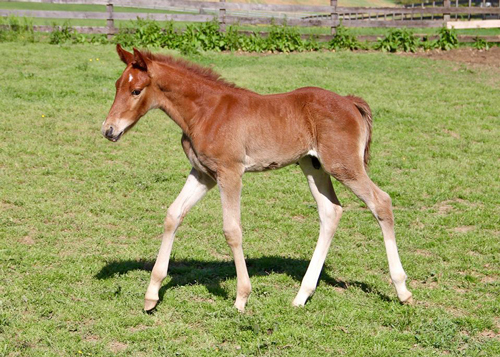 Alkmene has had several beautiful WB foals in the past and we couldn't be more pleased with the result from this breeding to Forrest Flame. Update: SOLD! Congratulations to Amy Powell!